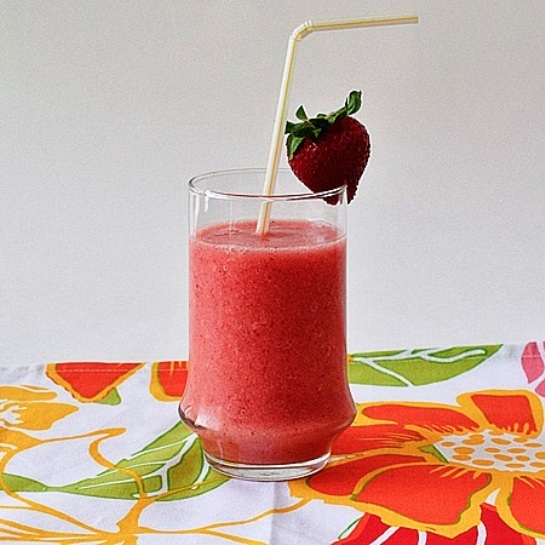 In a blender, combine the watermelon, strawberries, sugar and lemon juice. Cover and process on high until smooth. While processing, gradually add the ice cubes.